One might say I have an affinity for Michigan State. I grew up in mid Michigan, my family members attended the university, I received my journalism degree from MSU in 2010 (and was a proud member of the Honors College!) and now I work for the public relations office here, Communications and Brand Strategy. My job allows me to help tell the amazing work Spartans are doing all the time, all around the world. Even after more than six years working here – and a lifetime of being connected to this inspiring place – I continue to be in awe of the kind of positive, life-changing impact we Spartans have. Case in point: This summer’s The Great State Road Trip, put on by Communications and Brand Strategy. I had the great fortune of seeing our Spartan impact all across Michigan by leading this project. The trip was a three-week adventure in which my wonderful teammates and I highlighted all kinds of MSU research and outreach across the state. Through videos, photos, tweets, gifs and more, we showcased MSU – and our state. People were encouraged to follow our journey via our institutional social media accounts, and then later on through our curated digital scrapbook, msu.edu/roadtrip. 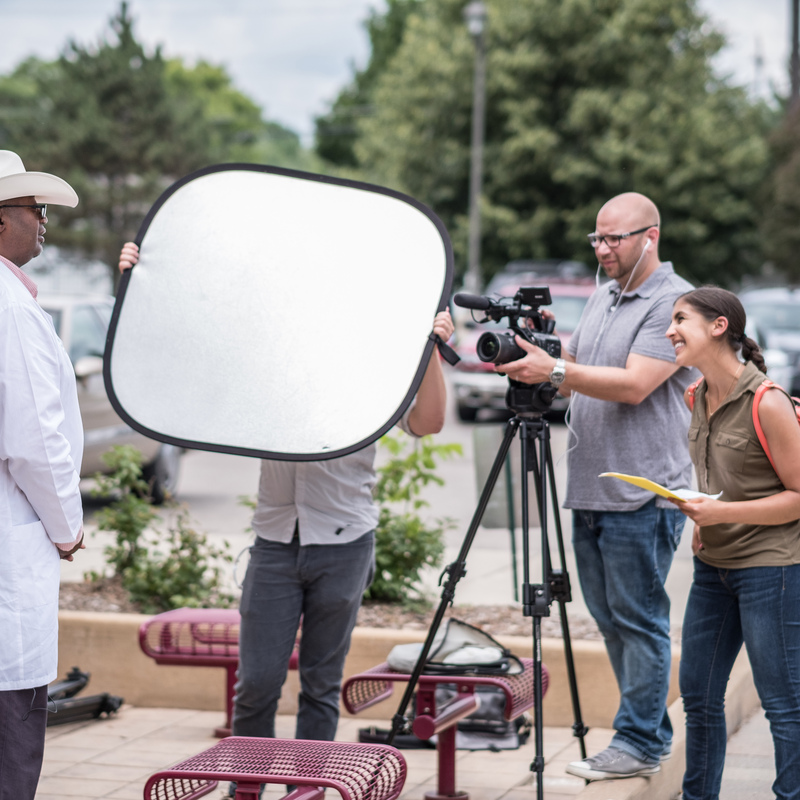 We saw the amazing care our doctors and medical students provide in Detroit; the passionate outreach efforts of our nurses in Flint; the creative and innovative approach our students take in making films and video games at the Traverse City Film Festival; how our scientists are working on better, more efficient ways to store renewable energy in Holland; the important work of our researchers in Hammond Bay who are finding ways to make our waterways healthier by managing invasive species; dedicated Extension educators who are helping the farming community in the Upper Peninsula successfully grow crops; the cool composite materials research our engineers are doing in Detroit to make cars lighter and more fuel-efficient; and of course, the really exciting state of science that is continuing to take shape here on MSU’s campus with places like the Facility for Rare Isotope Beams and the Institute for Quantitative Health Science and Engineering. Whew. That’s a lot of important work being done by Spartans! It really was impressive to see so many Spartans all over Michigan – from alumni to researchers and students. I always knew there were a lot of us here in the state, but it was special to see the work in action – to see Spartans in their communities, helping others and creating opportunities. We Spartans make this state run. And we do it with hard work and integrity. As a Spartan and Michigander, I don’t think I could be prouder. Take a look at the stories of The Great State Road Trip at msu.edu/roadtrip.